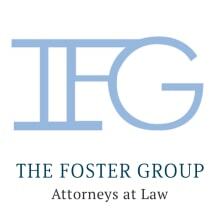 Representing individual clients and companies as they navigate the ever-changing business and health care landscapes, we provide dedicated legal services at The Foster Law Group in Phoenix, Arizona. Our law office helps clients achieve effective solutions to their legal issues, so they can focus on the growth and success of their businesses. With more than 20 years of legal experience, our attorney guides clients through the various challenges they may encounter over the course of doing business. Our law office counsels companies ranging from local startups to large corporations on matters such as business organization, communications and media, provider contract reviews, compliance reviews and professional malpractice. Our attorney also has experience handling constitutional as well as state, local and municipal law matters. As a former chief human resources officer, our attorney understands firsthand the havoc that labor, administrative and business disputes can have on a company's operation. Providing ethics and responsibility advice, we work to help our clients prevent problems before they snowball out of control. When such issues cannot be avoided, however, our attorney aids those we represent to achieve efficient and favorable resolutions, whether through alternative dispute resolution, negotiation or litigation. We also handle appeals cases. In addition to representing businesses and employers, our attorney at The Foster Law Group accepts civil rights-related matters and employment law cases on behalf of workers. We handle cases involving issues such as discrimination, sexual harassment, wage and hour laws, whistleblower and qui tam claims, and wrongful termination. Our law office accepts credit cards for our clients' convenience.